Gang data collected by the Chicago Police Department has been accessed more than 1 million times over the last decade by immigration officials, the FBI, the Chicago Public Schools and scores of other agencies. 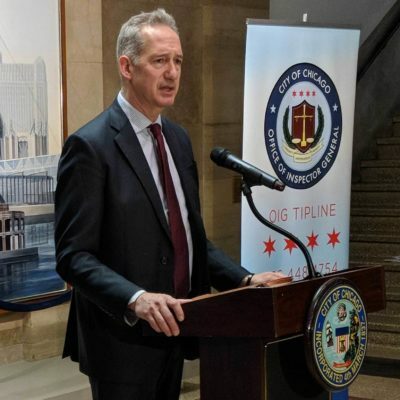 Yet the Police Department has done little to make sure the information is accurate and has no clear rules for how it can used by those outside entities, according to a 159-page report released Thursday morning by the office of Joe Ferguson, Chicago’s inspector general. The department’s failure to ensure the accuracy or fairness of its gang database, Ferguson concluded, has caused lasting damage. In lawsuits and at public hearings, dozens of people have reported being targeted by federal immigration enforcement or losing out on job opportunities after being wrongly included in the database. 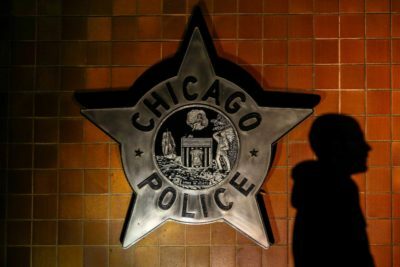 And at a time of tension between police and many community residents, especially on the city’s South and West sides, the database “potentially undermines public confidence in the Department’s legitimacy and effectiveness in the service of its public safety mission,” the report says. Reporter Mick Dumke spoke about Chicago’s gang database on WBEZ Chicago’s “Morning Shift” show on April 12. Police officials have promised for more than a year to clean up the data collection system and offer people listed as gang members the opportunity to appeal. As Ferguson’s office prepared to release its report, the department finally began to unveil those reforms. But it will not yield to demands from community and legal groups to erase the database altogether. Nor has it agreed to purge all historic records of gang membership, even those that might be inaccurate. “Given the unique gang violence issues that have existed and evolved for generations in Chicago, maintaining gang information and intelligence is a vital part of CPD’s anti-violence efforts,” police Superintendent Eddie Johnson wrote in an April 5 letter to the inspector general’s office and released publicly Thursday. Johnson wrote that police officials agreed with most of the report’s findings. The department is retooling its system, now called the Criminal Enterprise Database, he wrote. The department will create clearer standards, improve officer training, perform regular audits and implement an appeals process for those listed in the data. These lists are riddled with errors, as I reported last year after acquiring a set of the data with 128,000 entries. They included 163 people supposedly in their 70s or 80s and 15 individuals older than 100. The inspector general’s office found still more striking and questionable data. 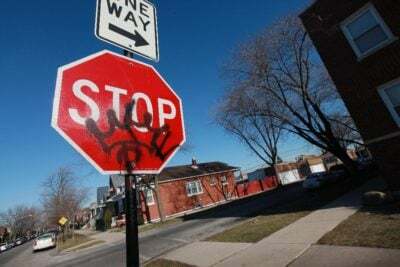 Over the last decade, more than 134,000 people were identified as gang members after being arrested, usually for misdemeanors or petty infractions. But in 11% of the entries, no gang was listed, even though those individuals were supposedly included in the database because of gang associations. More than 900 people were listed with multiple genders, the inspector general found. Eighty people were recorded as 0 years old. Thousands of people who weren’t arrested or accused of a crime were also identified as gang members, often on forms filled out by officers during street stops. Individuals could be entered into department data systems even though no one verified the identifications were correct or distinct from others with the same names. Pushing 80 and still gangbanging? Why are the Black Panthers listed alongside street gangs? Between 2009 and 2018, 337 outside agencies ran queries in the department’s gang identification tables, accounting for more than a third of all searches. At the top of the list was the Cook County Sheriff’s Office, which recently agreed to disable one of its own gang databases. More than 32,000 queries came from federal immigration authorities, according to the report. “CPD does not concur that a public evaluation is necessary,” Johnson responded in his letter. Johnson went on to promise that the data will be cleaned up and verified, and that the department will conduct audits of data-sharing agreements with external agencies. He also pledged to create an appeal process, though it would require going to police headquarters to fill out paperwork. Mayor-elect Lori Lightfoot has said she’ll push to dismantle or retool the system. At a press conference to announce the release of the report Thursday morning, Ferguson said it’s now up to city elected officials to hold “robust” discussions with the public about the future of the database. “It’s critically important that the City Council hold hearings on this,” he said.